In Unit 2, the Clinical Application requires you to know an example of a case study. The Edexcel Specification suggests a study by Victoria Vallentine, but I'm teaching this classic by George W Brown (left). I will put up the Vallentine study at a later date for those who prefer to stick to the Specification's suggestion. This longitudinal study was carried out by George W Brown (left), investigating his earlier hypothesis (Brown & Harris, 1978) that depression is caused by stressful life-events but reduced by certain personality traits that make people "resilient". The study is important because it uses clinical interviews to diagnose depression and measure other social and cognitive variables. 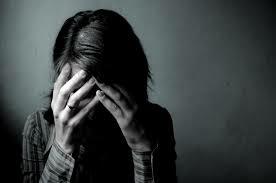 The researchers identified three major factors that affected the development of depression. Protective factors: these protect against depression in spite of stressors, eg. intimacy with the husband. This boosts self-esteem gives a sense of meaning in life. Vulnerability factors: these increase the risk of depression in combination with provoking agents. They include lacking close friendships and unemployment. Using interviewing techniques to find out if stressful life events are provoking agents that cause the onset of depression. In particular, the researchers wanted to see whether low self-esteem is a vulnerability factor; and to see if crisis support from a husband or partner is a protective factor. 395 mostly working-class women, aged 18-50 and from Islington, North London. A larger sample had received letters from their doctors asking them to take part and these women were randomly selected from the ones who agreed. They all had at least one child under 18 at home and a husband or partner who worked in a manual occupation (some single mothers were also included). Islington is an area in North London with a lot of poverty and low income families. It's the home of Arsenal FC and Jeremy Corbyn (Labour Party leader) is the MP for North Islington. 50 women reported symptoms of depression and were removed from the study. Why remove them? The researchers wanted to focus on the ONSET of depression and it would have ruined the validity if some of the women were ALREADY depressed. 89% of the original sample consented to a follow-up interview a year later. This re-assessed the same variables as Phase 1. 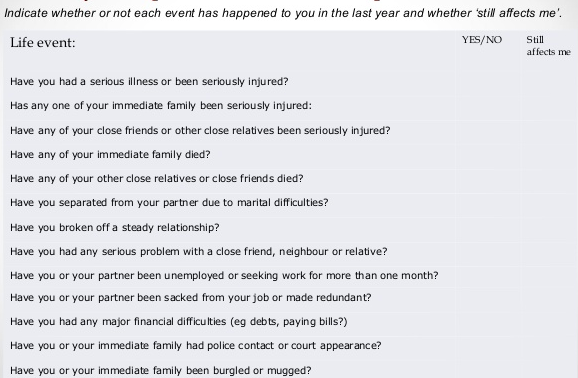 Brown & Harris' Life Events & Difficulties Schedule (LEDS) was also used to identify stressful life events that had happened during the year. This part was a questionnaire. The researchers followed up the LEDS with interviews focusing on the crisis support the women had received from their husband or partner during the stressful life events. 21 women were used in a reliability study. 11 were interviewed by 2 interviewers (test-retest reliability); 10 were rated by a second person using tapes from the initial interviews (inter-rater reliability). About half of the women (150) had experienced a major stressful life event during the year. 32 women developed depression during the year. 29 (91%) of the depressed women had experienced a stressful life event (a provoking agent) compared to 23% who did not experience depression. The difference was significant at the p≤0.01 level. 33% of those who developed depression had low self-esteem. Low self-esteem did not make the women more vulnerable to the onset of depression unless there was a stressful life event; but it did make the onset of depression more likely if a stressful life event occurred. Women who suffered a stressful life event and were given good crisis support by a husband or partner - 92% (85 of 92) - were less likely to suffer depression. A lot of results here with hard-to-remember numbers, but you only need this study as an example of interviews being used, so just learn ONE result. Low self-esteem and lack of crisis support make it more likely that stressful life events will lead to depression. However, there is no evidence that either factor leads to depression without there being stressful life events. 395 is a good sample size and it's likely that any anomalies (women who are especially tough or particularly fragile or who have very unusual backgrounds) won't skew the results too much in a group this size. However, 11% of the sample was lost due to sample attrition. This is always a problem with longitudinal studies. It's likely that these women would have been either especially healthy (why bother going back to be assessed again a year later if your life is great?) or especially ill (and can't face being questioned by interviewers) so their absence might skew the results one way or another. As a study of women, the results might not generalise to men. As a study of mainly working class Londoners, it might not generalise to middle class people or people outside of London (eg people who live in rural areas). The reliability study took 20 of the women and analysed their responses, either re-testing again or getting a second researcher to assess a tape recording of their interview. This showed the study had test-retest and inter-rater reliability. This is a GREAT technique for making semi-structured interviews more reliable, objective and scientific. This is the main point of procedure and evaluation you need to take away from this study. It's also a great SUGGESTION to make if the Exam asks you to suggest how an interview could be improved. Studies like this show us the risk factors for depression. This makes it easier for a doctor or social worker to spot people who are at risk of depression and get the illness diagnosed and treated early. Removing the 50 women who showed signs of depression at the start makes this more valid as a study of the ONSET of depression. 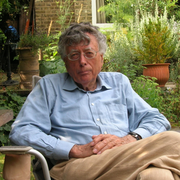 Brown's life events interview is a technique he had pioneered in 1978 and was based on previous surveys into stressful life events. This shows the technique has construct validity. There's a huge risk of demand characteristics in this approach - women might believe the researchers want to hear about depression and exaggerate their depressive symptoms in order to be "good participants". The study didn't assess whether the husbands were in fact the "provoking agent" (eg because of domestic violence, relationship break-up or cheating). This study was carried out with the assistance of local doctors, who invited the women on their patient lists to take part. 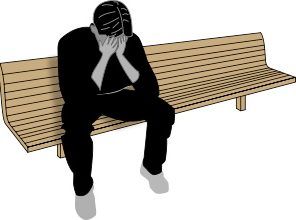 This ensures that the researchers were competent to discuss depression with the women. The women gave full informed consent to take part and they were all mentally healthy at the start of the study (those with symptoms of depression were not followed up a year later). A 8-mark “evaluate” question awards 4 marks for AO1 (Describe) and 4 marks for AO3 (Evaluate). You need a conclusion for top band (7-8) marks. Semi-structured interviews have fixed questions that must be asked in order but also leave the interviewer free to invent new questions. An example of a study using semi-structured interviews is Brown et al. 's Islington study. Brown used interviews on working class women to see if they had low self-esteem and social support. The researchers repeated the interviews a year later and found that depression was more likely with women who had low self-esteem or no support during a stressful life event. Semi-structured interviews produce a 'natural' conversation that can put respondents at ease. They let the researcher follow up interesting topics. This is important when interviewing people with depression who might be anxious and uncommunicative. Semi-structured interviews can be unreliable because no two interviews will be exactly the same. However, Brown et al. carried out a reliability study on 20 women, re-testing them or getting another researcher to rate a tape recording. The Islington study shows that interviews can be carried out with depressed people in a reliable and ethical way. Notice that for a 8-mark answer you don’t have to include everything on interviews - and certainly not everything on the Islington study. I haven’t mentioned the study's background or the quantitative data. I haven't evaluated the interviews in terms of generalisability. But I have tried to make the two halves – Description and Evaluation – evenly balanced.